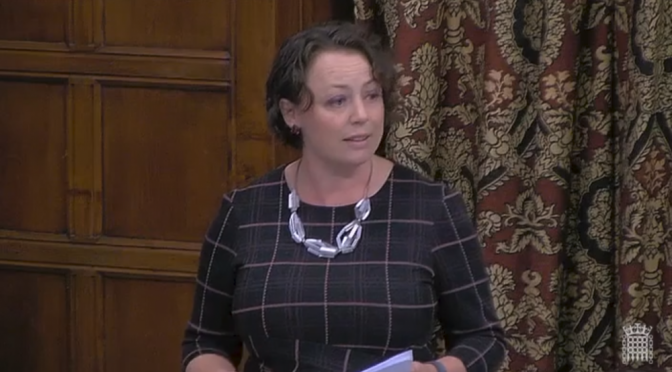 Catherine spoke in a Westminster Hall debate today, on ‘Support for children with life-limiting and life-threatening conditions and their families’, in her capacity as a co-chair of the All-Party Parliamentary Group (APPG) on Children Who Need Palliative Care. You can read a full transcript of her speech below, and that of the full debate here. You can also watch the debate online here. 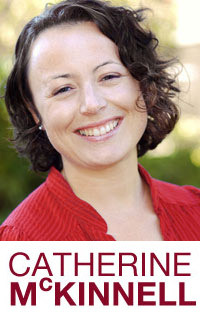 Catherine McKinnell: I am delighted that the hon. Member for Strangford (Jim Shannon) secured this debate on an issue that is so important for so many children and families across the country. It goes to the very heart of the work done by the APPG for Children Who Need Palliative Care, of which I am co-chair, alongside the hon. Member for Sleaford and North Hykeham (Dr Johnson). Babies, children and young people with life-limiting and life-threatening conditions rely on a range of social care services provided by a variety of statutory and voluntary organisations, such as short breaks, practical assistance at home, home adaptations and support to access travel and leisure activities. A good example of one such provider, which celebrated its 15th birthday last year, is St Oswald’s Hospice in Newcastle. It provides residential short breaks and care to babies, children and young adults. Up to six children and young adults can stay at St Oswald’s at any one time, in a beautiful, relaxed, home-from-home environment. Seriously ill children and their families across the country need short breaks and the respite provided by skilled, highly trusted people who can meet the child’s often complex health needs. It might only be for a few hours, or overnight for a few days at a time, but those short breaks are vital to help parents and siblings manage the immense stress and 24/7 pressure that a child with a life-limiting condition can bring. The evidence suggests that such respite care helps to support children and their family’s physical and mental health, and mitigates the risk of parental relationships breaking down. Local authorities of course have a legal duty to provide short breaks for disabled children and their families, to be planned and funded jointly by local councils and the NHS. A Government-commissioned review of funding arrangements for palliative care made it clear in 2011 that that duty must include respite care for the carers and families of children requiring palliative care. Despite that, however, the charity Together for Short Lives found that too many CCGs and local authorities in England fail to plan and fund short breaks. More than one in five local authorities do not commission short breaks for children with life-limiting and life-threatening conditions, despite having a legal duty to do so, although 84% of CCGs reported that they commission short breaks for children who need palliative care. Furthermore, the Disabled Children’s Partnership, of which Together for Short Lives is a member, has gathered increasing evidence of cuts to services for disabled children. Is it any wonder that that is taking place? The Local Government Association estimated that children’s services face a £3.1 billion funding gap by 2025, just to maintain existing levels of service. Given such findings, I shall be grateful if the Minister confirms in her response how she holds sustainability and transformation partnerships, integrated care systems, CCGs and local authorities to account for the way in which they plan and fund short breaks. I am also keen to highlight the importance of the provision of short breaks to all families who receive them, not only those families with children who need palliative care, but those with disabled children whose conditions can be life-limiting as well. I was able to witness that on Friday, when I visited the excellent Alan Shearer Centre in Lemington in my constituency. It provides specialist respite services in a specially adapted environment. One of the key concerns expressed to me at the centre was about how the level of respite care support that disabled children and their families receive can be halved when a person’s condition has not changed at all – the only thing that has changed is their age. Many families described that as feeling as if the rug has been pulled from under their feet. I also want to highlight the work of the Rainbow Trust, which provides vital support at home for so many families, including in Newcastle. Will it be possible for the recently announced funding of £25 million for palliative and end-of-life care to be used to provide that emotional and life-affirming support for such families? Children with life-limiting and life-threatening conditions face enough challenges without the added stress of not having the support they need.